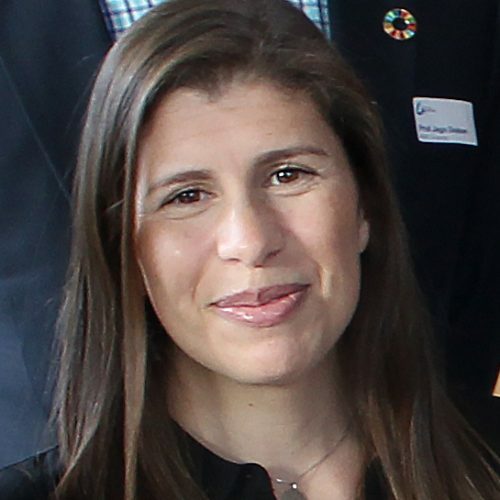 Joana Correia manages Project Development for the UN Global Compact – Cities Programme. She plays a key role in brokering and managing the sustainable urban development initiative City Partnerships Challenge, involving local government, private sector and civil society organisations. She also designs and delivers cross-sectoral engagement initiatives. Joana is an Architect with over 10 years of international experience spanning architectural practice, urban development and project management. Since completing her Bachelor in Architecture at Universidade de Lisboa in Portugal, Joana has held positions in both large and small architectural and engineering offices in South Africa, Mozambique and Portugal. Joana has a Master of International Urban and Environmental Management from RMIT University, specialising in climate change adaptation/mitigation planning and sustainable development. The relation between the built environment and climate change and how design and participatory approaches may improve the resilience of communities and tackle environmental issues were the focus of her masters and continue to be a key specialisation in her work at the Cities Programme. Some of Joana’s Cities Programme projects to date include Winning from Second: What Geelong can learn from International Second Cities, a research project drawing insight from the change and economic transformation across second-tier cities, and the Bay Blueprint 2070, a regional climate adaptation plan for the 10 councils around Port Phillip Bay in Victoria, Australia. As part of her humanitarian sector specialisation, she is also an Emergency Shelter Coordinator with the Australian Red Cross.